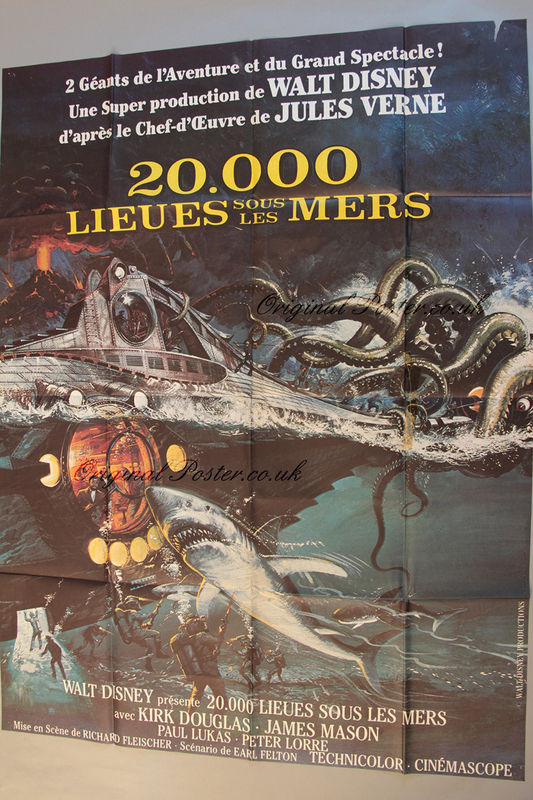 Details "20,000 Leagues Under the Sea" large film poster with spectacular underwater artwork featuring the Nautilus under attack by monsters from the deep and the diving crew in action fighting against the odds. Pictured inside the craft are the illuminated figures of Captain Nemo and his crew while above the Nautilus we can see an exploding volcano. Two inch rough tear at top right and a seven inch closed tear on the octopus which has been repaired on the reverse using restoration tape.